I bought 10 of the Originals because they were so affordable.I placed them in bathrooms, laundry, under sinks ect. I have had three alarms go off that I know saved me thousands of dollars in repairs!I HIGHLY recomend these to every-one! Dear Christopher: I own a condo and it is vacant four days out of a seven day week. I worry about a leak developing in my absence and so I want an alarm that will be heard by passersby in the hallway outside my condo door. As far as I can tell your products have the highest ability to be heard outside my condo front door and entry window! Your very detailed and informative videos I saw at the Gizmode website convinced me to make my first purchase from you last week. The Screamers I purchased work fine. Yes, your product is 2 to three times more expensive then the 85 dcb Zircon or the 110 dcb Watchdog that I can get from Menards or Home Depot, but I cannot hear the 85 dcb Zircon water leak detector outside the front door of my condo. And your 110 dcb water alarm sounds a lot louder then the 110 dcb Watchdog. Also the solid tone Watch dog is hard to notice as an alert alarm as it is not a pulsing sound alarm. I enjoy purchasing great products direct from earnest entrepreneurs like you!!! I have installed several around my home and I've already discovered a slow leak under my sink! So far so good! 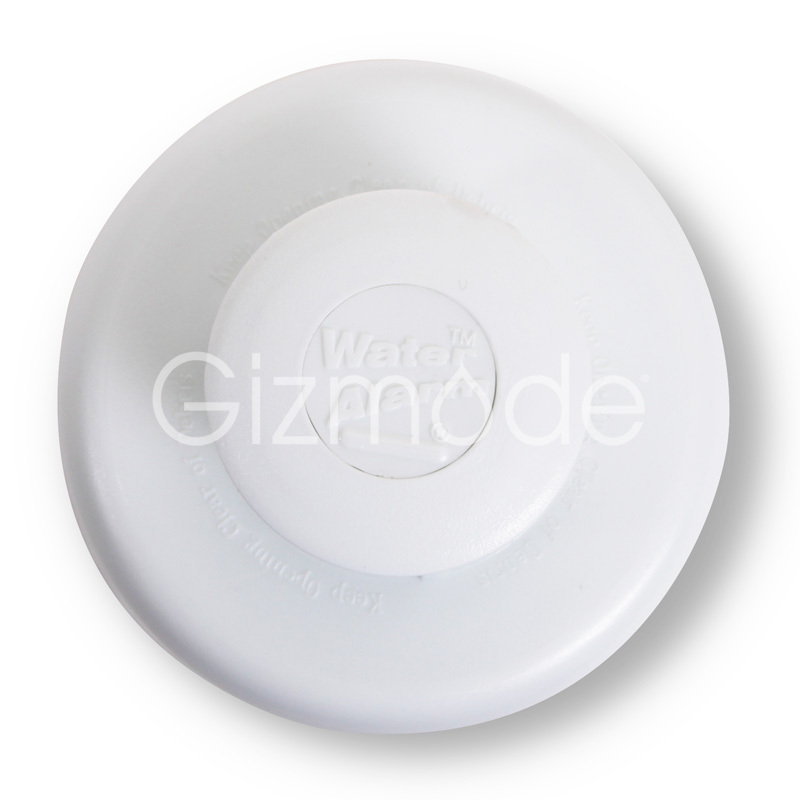 Click the button below to add the The Original Water Alarm to your wish list.